With the NHL season now just a month away, it’s time to look at what each team has done this summer and what to watch for in the year to come. Today, we focus on the St. Louis Blues. Player To Watch: G Jake Allen — The team has upgraded its offense, already had a solid defense and has several of their top prospects banging on its door, hoping to get into their rotation this year. What they didn’t do much with is their goaltending. Allen, once considered the franchise goalie, has now struggled for more than a full season, but with three years at $4.35MM per season still on the books, he’s not going anywhere this year. The 28-year-old netminder struggled down the stretch during the 2016-17 season, but his consistency got even worse last year when he posted a .906 save percentage and a 2.75 GAA in 59 games. The team was forced to use Hutton on many occasions to replace the struggling goaltender. In hopes of redeeming his job, Allen has said that he has changed some of his training methods this summer and hopes to come into camp and prove that he is the starting goaltender. 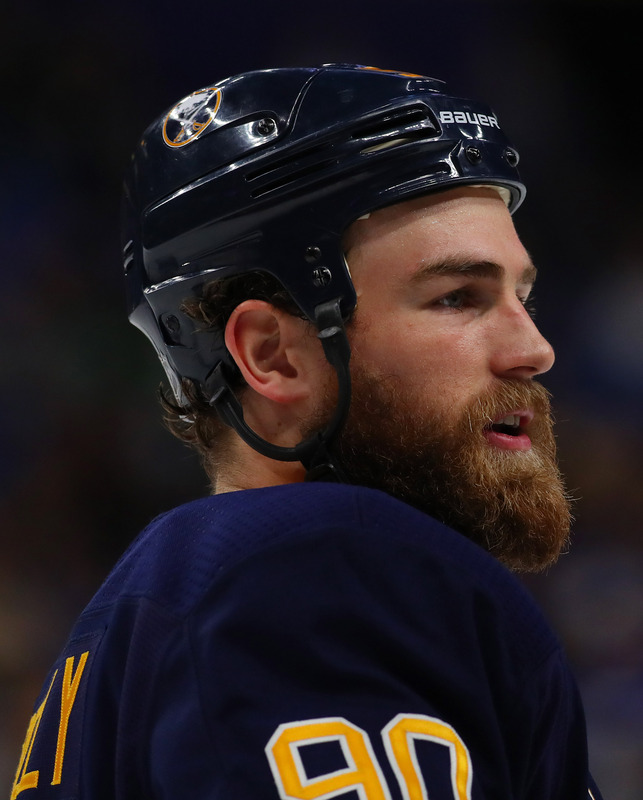 The team had better hope that he can, because the team lost Hutton to the Buffalo Sabres in the offseason and replaced him with Johnson, who struggled in a one-year stint in Buffalo, albeit behind an atrocious defense. The team does have prospect Ville Husso waiting in the AHL, but many believe he still needs at least one year of seasoning there before he can challenge Allen for his job. Key Storyline: The offense has been thoroughly upgraded in the last few months and it will be up to the team to find a way to gel and make it work. One key story will be whether they can get the breakout performance that everyone in the NHL has been waiting for from Vladimir Tarasenko. The winger posted three impressive seasons coming into last year, including a 37, 40, 39-goal seasons. However, while the 26-year-old still had a solid season last year, his 33 goals was a disappointment for a player who many felt was closer to a 40-goal scorer than a 30-point scorer. One possibility to Tarasenko’s season could come down to the addition of O’Reilly. Adding a top-line center will be critical and if the two can co-exist, then you might see the development of a superstar as Tarasenko and Paul Stastny had limited chemistry together. There is also a likelihood that Maroon, who played together with Connor McDavid in Edmonton for a while, could add his physicality to that first line and give Tarasenko an even better chance to have a big season. Overall Outlook: Looking at the massive changes to the team, especially at the forward position means the team expects to win now. The franchise has put a lot of expectations on head coach Mike Yeo and the team as they are expected to not just make the playoffs, but compete for the Central Division title. That’s a tough chore for any Central Division team if you assume that the Nashville Predators and Winnipeg Jets will likely assume the first two spots in the division. That leaves just two playoffs spots for the rest of the division that includes the Minnesota Wild, who have been to the playoffs for six straight years, an improving Dallas Stars team, a young impressive Colorado Avalanche franchise and the Chicago Blackhawks who are trying to prove that their run isn’t over just yet. If the team fails to impress early on, that could put Yeo on the hot seat.